There was special tax imposed specifically on Jews in the Roman Empire since 70 AD which led to political unrest and conspiracies against Roman Emperors. The abolition of special taxes on Jews followed their admission to civil rights in France and elsewhere in Europe at the end of the 18th and beginning of the 19th centuries. The fiscus Iudaicus (Latin for “Jewish tax”) or fiscus Judaicus was a tax-collecting agency instituted to collect the tax imposed on Jews in the Roman Empire after the destruction of Jerusalem and its Temple in AD 70. 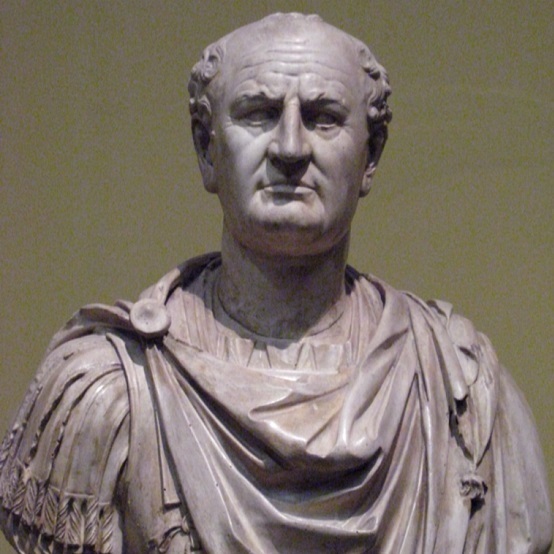 The tax was initially imposed by Roman Emperor Vespasian (9 AD –79 AD) (Reign 69 –79) as one of the measures against Jews as a result of the First Roman-Jewish War of 66–73 AD (first Jewish revolt). The tax was imposed on all Jews throughout the empire in place of the levy (or Tithe) payable by Jews towards the upkeep of the Temple. In Rome, a special procurator known as procurator ad capitularia Iudaeorum was responsible for the collection of the tax. Only those who had abandoned Judaism were exempt from paying it. Domitian, who ruled between 81 and 96 AD, expanded the fiscus Iudaicus to include not only born Jews and converts to Judaism, but also on those who concealed the fact that they were Jews or observed Jewish customs. Suetonius relates that when he was young an old man of 90 was examined to see whether he was circumcised, which shows that during this period the tax was levied even on those above the age of 62. Louis Feldman argues that the increased harshness was caused by the success of the Jewish (and possibly Christian) proselytism. Domitian applied the tax even to those who merely “lived like Jews”. These “Jewish ways,” argues Marius Heemstra, would have included Christianity. Domitian (Titus Flavius Caesar Domitianus Augustus 51 – 96) was Roman emperor from 81 to 96. He was the younger brother of Titus and son of Vespasian, his two predecessors on the throne, and the last member of the Flavian dynasty. During his reign, his rule put him at sharp odds with the senate, whose powers he drastically curtailed. Domitian strengthened the economy by revaluing the Roman coinage, expanded the border defenses of the empire, and initiated a massive building program to restore the damaged city of Rome. He was considered as the new Augustus, an enlightened ruler destined to guide the Roman Empire into a new era of brilliance. As a consequence, Domitian was popular with the people and army, but considered a tyrant by members of the Roman Senate. Domitian’s reign came to an end in 96 when he was assassinated by a conspiracy led by two court officials and his successor Nerva Caesar Augustus, the first of a succession of rulers traditionally known as the Five “Good” Emperors. Domitian sat down to work on 18 September 96, poring over his state papers. At that moment, he was approached by a servant, one Stephanus. For some days, Stephanus had been wearing bandages, supposedly after an accident. In fact, the bandages were concealing a dagger, which he now produced behind his back. He handed the emperor another document, and as Domitian began to read, Stephanus stabbed him violently in the groin. More servants clustered around; more blows fell. His body was carried away on a common bier, and unceremoniously cremated. On hearing of his death the Senate was overjoyed. 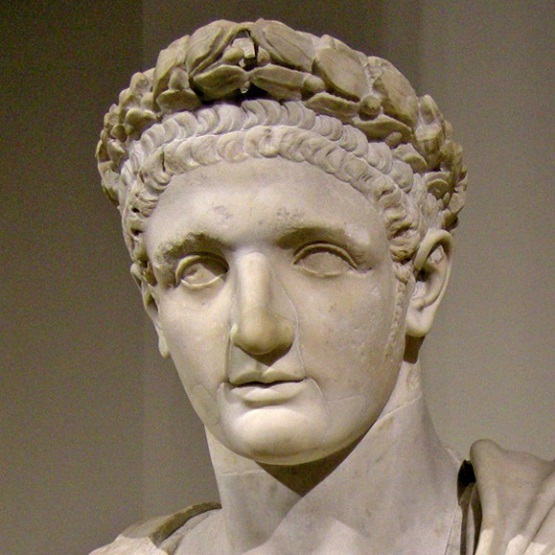 Suetonius wrote, “The Senators, on the other hand, were delighted and thronged to denounce Domitian in the House with bitter and insulting cries. Then, seeking for ladders, they had his images and the votive shields engraved with his likeness, brought smashing down….” Immediately, Marcus Cocceius Nerva was hailed as the new emperor – a temporary fix until someone better could be found. In the months that followed, the city celebrated the death of the old emperor by turning over his statues and ceremonial arches, however, the Praetorian Guard would not take the assassination lightly and eventually many of the conspirators would meet their own deaths. The fiscus Iudaicus was originally imposed on Jews. At that time neither the Romans nor the early Christians considered Christianity to be a separate religion from Judaism. It was considered as a sect within Judaism, which historians refer to as Jewish Christianity. It did not take long for Christians to petition the Emperor to distinguish the Christians from Jews for the purpose of the payment of the fiscus Iudaicus. After the murder of Domitian in 96 AD, Nerva relaxed the rules of collection, limiting the tax to those who openly practiced Judaism. By this measure, the Christians (and perhaps Jewish Christians) escaped the tax but they were not officially recognized as a legal religion until the much later Edict of Milan in 313. It remains unclear when exactly the fiscus Iudaicus was abolished. Documentary evidence confirms the collection of the tax in the middle of the 2nd century, and literary sources indicate that the tax was still in existence in the early 3rd century. It is not known when the tax was formally abolished. Some historians credit the emperor Julian the Apostate with its abolition in about 361 or 362. The tax was revived in the Middle Ages in under the name of Opferpfennig by the Holy Roman Emperors. The Opferpfennig (originally Guldenpfennig) tax was introduced in 1342 by Emperor Louis IV (Ludwig) the Bavarian, who ordered all Jews above the age of 12 and possessing 20 gulden to pay one gulden annually for protection. The practice was justified on the grounds that the emperor, as the legal successor of the Roman emperors, was the rightful recipient of the Temple tax which Jews paid to the Romans after the destruction of the Second Temple. The Opferpfennig was collected on Christmas day. Emperor Charles IV later ordered the income of the Opferpfennig tax to be delivered to the archbishop of Triers. This tax was at some places replaced by an overall communal tax. Avoiding taxation was the main motive for inventing Crypto Judaism. Yes yes, i got that. On the other hand, you say in another article that Rome was created by the Jews. So why tax the Jews ? I said the Romans were of Turkic Mongolian origin and they were invented in 753 BC. While the Jews are also of Turkic Mongolian origin but were invented in 530 BC. These are two different groups but from the same savage origin. Other groups which share with them the same origin but are of different and conflicting interests are: the Persians; the Turks; Arabized rulers and wealthy of Arabia; yellow Indians; Gypsies; and the so-called Arabs in Africa. There is no contradiction in my hypotheses and they support each others logically and historically. Sure the Romans were different from Jews and while they are kin they are competing and conflicting with each other. Finally, the Jews won over the Romans and took control. Ok, i understand now. Thank you very much. Do a search with your name on Vk.com, i have been sharing a lot of your articles. Keep on the good work. Gracias . Oh, forgot, this is Francisco Alvarez from fb. i don’t share much on fb anymore, because they censor a lot, especially anything exposing or criticizing the Jewry. Can you tell when exactly the Jewry finally and totally took over Rome ? The Jewry took over the Roman Empire gradually and the move started with what are called Jewish–Roman wars, actually not more than power struggle, between 66 and 136 CE. Titus Flavius Josephus (37 – c. 100), born Yosef ben Matityahu was a first-century Romano-Jewish scholar, historian and hagiographer. He represents how Jews became Romans and took control. Jews had lived in Rome since the second century BC. Julius Caesar and Augustus supported the Jews and secret societies and they were allowed to collect money. There had been upsets but the overall trend was consistent. Their cultures began to overlap in the centuries just before the Christian Era. Constantine I or ” the Great” (c. 272 AD – 337 AD) became the first emperor to convert to Christianity. With his rule Roman Christianity became officially the local version of Judaism. While they appeared to be different but in fact they were the same and worked together to eliminate true Christianity by imposing Catholicism in the world. Please share stuff on Vk.com ! I will try once I get time, please share my articles freely as much as you could. Sir what do you see as true Christianity? True Christianity is the revival of the Law of Moses and the faith of Abraham and Enoch. It is a local religion belongs only to the lost people of Israel from Africa and Punt. True Christianity is a sister for hundreds of other original local religions anywhere and everywhere on Earth and in the endless Universe. Return back Christianity to its owners and find out your own.